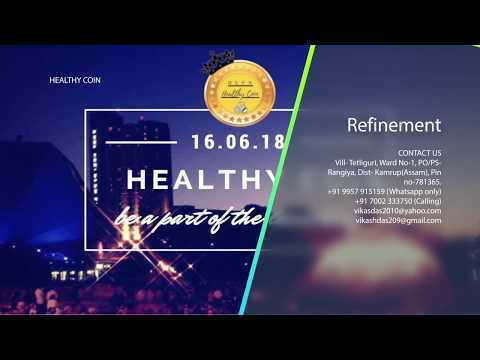 Healthy Coin started in 2018 with a new revolutionary concept to change how people deal with transactions. ERC20 is a technical standard used for smart contracts on the Ethereum blockchain for implementing tokens. ERC stands for Ethereum Request for Comment, and 20 is the number that was assigned to this request. ERC20 was proposed on November 19, 2015 by Fabian Vogelsteller. It defines a common list of rules that an Ethereum token has to implement, giving developers the ability to program how new tokens will function within the Ethereum ecosystem. This token protocol became popular with crowdfunding companies working on initial coin offering (ICO) cases. As of January 2018, there were more than 21,000 ERC20 token contracts. Among the most successful ERC20 token sales are EOS, Bancor, Qash, and Bankex, raising over $70 million each. MVP of Healthy Coin platform. Connection to ACE Trade Exchange Portfolio view Demo/paper trading.